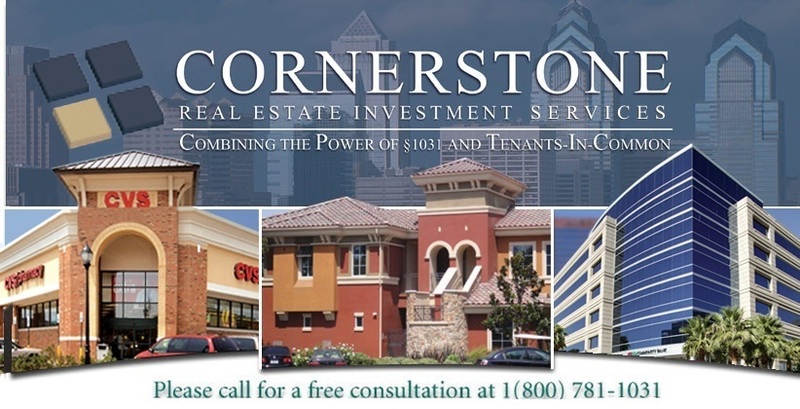 Cornerstone Real Estate Investment Services specializes in real estate investment securities such as Tenant in Common (TIC) investment properties, Delaware Statutory Trust (DST) properties for section 1031 exchange (replacement properties), Real Estate Investment Trusts (REITs) and real estate funds. Cornerstone was an early member of the Tenant In Common Association and we have one of the largest listings of tenant in common properties with strict due diligence standards. Section 1031 of the Internal Revenue Code (IRC) allows for the capital gains tax to be deferred when "like-kind" real property is exchanged. With tenant in common properties and DST investments, an owner may diversify their real estate investment across multiple properties and enjoy the benefits of a tax deferred exchange. Cornerstone works closely with a large number of sponsors who identify and package TIC property providing investors access to different types of exchange replacement properties all across the country. These sponsors often provide many of the pre- and post-acquisition management services that investors would otherwise have to handle themselves and at their own expense such as for due diligence, appraisal, debt financing, and environmental reports. Accordingly, Cornerstone offers tenants in common that have been designed to address a number of the burdens associated with 1031 exchanges. 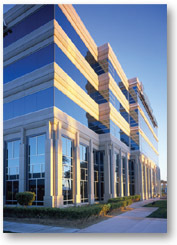 We identify sponsors, review properties, perform due diligence, and offer Section 1031 TICs to our investors. However, we do not provide our investors with accounting, tax, or legal advice, and encourage you to obtain advice from independent advisors. An insightful overview of the tenants-in-common industry and how tenant-in-common investments are structured. In order to receive your password, please complete the Tenant-in-Common Property Information Request Form below. We will promptly contact you for a consultation and to provide you with your password. We have a strict privacy of client information policy and your information will remain confidential and NOT be referred over to other parties. Would you like a Qualified Intermediary (QI) firm to contact you to assist in your 1031 exchange?